I AM Wottanna that being that many think is legend, that being that many would believe is a myth. But I am Wottana, Anasasi Medicine Man. I as Wottana have been chosen to welcome you, brothers and sisters. You know already that you have been followed here by many beings, or you could say that many beings have accompanied you upon your journey of discovery, a journey of learning and a journey of transformation. A journey of transformation not only for you but also a journey of transformation for this place. 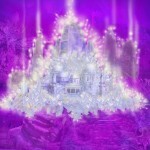 You have been brought here you could say first of all to clear energies, to realign, but also to activate. You must know that this is a very holy place, that this place was used as one of our holy places. There is a vortex here which connects not only with the beings that live deep within the heart or deep within the body of Mother Earth, but also connects with the beings in multi-dimensional realities, in the multiverses and of the universes.There was a time when you were all here as Anasasi. Indeed, this one (John) was given all my knowledge before we made a decision to leave this planet. You may or may not know that before we made the decision to leave, that we made many changes to Mother Earth’s meridians or as you would now say, Mother Earth’s gridworks. These changes were made, gridlines removed so that they could not be contaminated by all the confused and Dark energies which would manifest in Atlantean times or in the times of Atlantis. So it could be said that we closed the grids, we moved them so that they would not be abused. Now is the time for many of these grids to be opened. Now is the time for many of these grids to be aligned. You must have noticed upon your travels and during your work that some places that are considered holy and Temples of Light no longer have any energy. This is because the grids have moved. Many of the holy places and Temples of Light that did have energy running through them were constructed in late Lemurian and early Atlantean times. It was after we had moved and closed down the original gridworks. So I would ask you just for some few moments to focus your attention upon your feet, upon your base chakras, your second chakra, your third chakra, fourth chakra. When I say fourth chakra, do not focus your attention on your physical heart because that is not your true fourth chakra. Your true fourth chakra is your thymus gland, so focus fora few moments upon this thymus gland and allow it to become activated like a crystalline Palace of Love. See this thymus Palace, this Palace of Love lined with rosey quartz, lined with green quartz, with emeralds, with rubies, with diamonds and other precious and semi-precious crystals. See this Palace shining, pulsating and blooming with love, then allow this love energy to flow to your fifth, your sixth, your seventh chakras. And now focus some attention on the space above your heads. You will be able to feel your own higher chakras, at least up to twelve becoming activated with the energies that we, the Anasasi, that I, Wottana, and many other beings, Star Beings, Earth Beings, Andromedans, Syrians, Pleiadians, the Draconians, and many other races, the list is long. Feel their love, feel their Light of transformation flowing into you. Feel the Light quotient in the cellular structure of your physical body getting stronger, getting stronger. Know that to complete this work that you have undertaken not only in this place, but everywhere upon this planet, your Light quotient needs to be constantly increased. I will pause for a moment and allow you to feel these energies. Now you feel this energy flowing through you. Feel the peacefulness that is enveloping you, feel the peacefulness that is enveloping the areas in which you stand. You may even through your closed eyelids see the Light, see the love. Now we would ask you to just allow this Light to flow through you, through your feet and through your hands into this vortex upon which you sit. A bell chimes. Clair speaks and says: We are all the things we hold dear. We are all the worlds we live. Sweeter than our being. We are the Wind. We are wondering if you know as we live, All that Is. … … look past it. There you will find Anastasi eternally. My friends, look inward and …, see the Anasasi in the coming Light that is within your own heart, within this thymus gland, this thymus Palace of which I spoke. … (wind too strong to hear words) without fear, we’ll take you to the place … (wind too strong). … but not only within this place … (wind too strong). Many of you would not know that I am with you, but what you don’t understand is, is that I am closer to you than your breathe. I am on the wind. I AM THE WIND. I am with you in the animals that you come across on your path, on your adventures in life, on your journeys. I am in the clouds in the sky, I am in the water and again, I say, that often I am closer to you than you would ever know, as close as your breathe, brothers and sisters. I would say to you call upon me, feel me, hear me and we will transform. 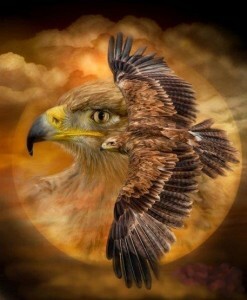 I will transform with you into Eagles so that we may soar above the Earth and see the Earth Mother’s beauty. We will swim in the rivers as fish together. We will go deep into the Earth and meet with the Earth Beings and I will transform you into Light so that we may transport ourselves to meet with the Star Brothers and Sisters. Remember my words, look into yourselves and know that I am your friend. Your efforts are greatly appreciated in the work that you are all doing. The efforts of working upon the Earth Mother, doing the ceremonies, tending to the needs of the Earth Mother. And know that in not many years of your time, for me it would be a flapping of an Eagle’s Wing, that the transformation of all into Light, into love will take place. Many of you, or many beings upon the planet fear energies which through their conditioning believe to be Dark. I, Wottana, tell you that the Dark exists to balance the Light and the Light exists to balance the Dark. Without Dark there is no Light, and without Light there is no Dark. Put aside your conditionings and your fears and realise that total transformation of all beings and this planet and its universe into total Light will never happen. It is not in the Great Spirit’s plan. For the Great Spirit knows, for the Great Spirit is everything, that the Light and Dark exist together or may exist together in balance and harmony. It is only in the places where the shadows are where there is no illumination. I ask you to understand that all beings, all energies that are deemed to be Dark and deemed to be negative or evil, are not. These beings, these energies are part of the Great Spirit, the Great Creator. They are aspects of the Great Spirit and the Great Creator. And did you know that Great Spirit, Mother/Father, created the whole of Creation so that she/he may experience, may experience his/her own love and experience his/her own Darkness. Safe having this knowledge in your minds and integrate it in your hearts, if you would feel safe in the love because know that when you don’t feel the love, you are merely denying yourself of it. When you affirm I do not feel love and I am not love, the love passes you by. You do not allow it to enter your energy fields, not only your third dimensional energy fields, but your multi-dimensional fields. Know that you are multi-dimensional beings and that you are experiencing in the whole of the 352 levels between here, Mother Earth, and the Source, him/herself. Again I say, open up your thymus Palaces and allow the energy of love and Light to flow through you. I would ask you to concentrate on your breathe. Many humans are not breathing and lack of oxygen creates or allows the energy of fear to overwhelm your emotional bodies. Breathe deep, breathe long and as you breathe think about your feet. Fill your longs full, keep your feet firmly on the ground because this breathing and focussing upon your feet will keep you attached to the Earth Mother. Many ones, since we the Anastasi ascended, and many others that have ascended many times upon this planet, have been focused upon by others that would wish to take their ascension. In these times which I would say are modern times, but you would say were old times, this time when Jesus Sananda supposedly took his ascension is being focussed upon by many humans. They are using the ascension as an excuse to avoid the learning of the lessons. The integrating of love, that is the lesson. There is no punishment, no punishment ordered by God, her/himself. You merely punish yourselves, you hold the memories in your cellular memory, you hold them in other parts of your being and focus upon that fear, rather than focussing upon that Light. The Earth Mother will transmute everything.